Our vision – we revolutionize communication in a fun, natural and productive way, with videos. Our mission – we help people and enterprises communicate, collaborate and learn with online video. Anywhere, anytime and on any device. Traditional online video platforms for enterprises are designed for hosting a small number of videos – created by a handful of video production professionals. In contrast, Dream Broker’s end-to-end cloud solution is designed to empower every employee to produce video – in a secure enterprise environment. It is a truly company-wide solution for everyday communication with video, on the desktop and on mobile. Dream Broker has been recognised several times for its continued capability to innovate and grow. 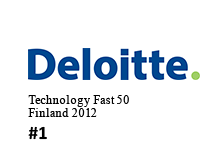 In 2012, Dream Broker was positioned first in the Deloitte Technology Fast 50 Finland -competition and in 2013 Dream Broker held third position in the same competition. 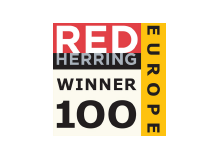 In addition, Dream Broker won the Red Herring Top 100 Europe -award in 2013 and Tietoviikko -magazine selected Dream Broker as growth company of the year 2013. 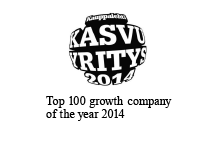 In 2014 Kauppalehti -newspaper listed Dream Broker in their list of the 100 fastest growing companies of the year. 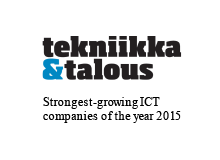 In 2015, Tekniikka & Talous (Technology and Business) -magazine ranked Dream Broker as one of the seven technology companies with the strongest growth in ICT -category in their report Teknologiakasvajat 2015. 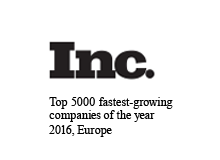 In 2016, Inc. recognized Dream Broker among the top 5000 fastest growing companies in Europe. In 2016, Dream Broker’s online-video platform, Dream Broker Studio, become a test winner reviewed by TiVi-magazine. 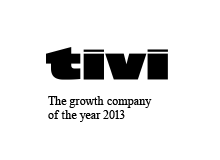 In 2016, Dream Broker was ranked first time among top 250 biggest ICT-companies in Finland according to TiVi-magazine. Dream Broker was founded in 2007 and has currently over 100 employees in the Nordics. It is one of the fastest-growing companies in Europe with over 800 loyal business customers. In addition to our Helsinki (Finland) headquarters, we have local offices in Turku (Finland), Stockholm (Sweden), Copenhagen (Denmark), Oslo (Norway), Amsterdam (Netherlands) and Berlin (Germany). Our early goal was to become a significant international player in the digital online video software market by 2015. Today, we are the market leader in the Nordics, with focus on rapid global expansion via Central and Western Europe.